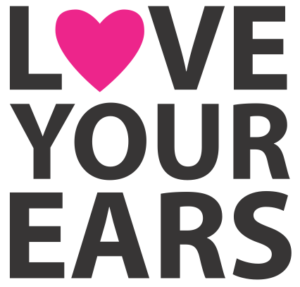 How much do you love your hearing and why you should. Of all the five senses it seem that hearing is the most ignored and the most taken for granted. Our generation (Boomers, X&Y) have not done a very good job at preventing hearing loss until its too late. Whether your 17 or 55 years old, we have all done some sort of damage to our hearing…. Some of us have worked in loud noisy places and haven’t really considered protecting our ears except with the odd foam earplug, which are only good for one shift. Or we have worked in an environment where the noise was gradual but still loud and did nothing to protect our hearing since it wasn’t top of mind. Or how about everyday uses to protect your hearing from noise pollution. Over the past 10 years we all have been embracing iTunes, iPods, Podcasts, SmartPhones, Audiobooks etc. But have we really considered the extra strain all of these technological advances have impacted our ears? Well if you LOVE YOUR HEARING, then I suggest you start. 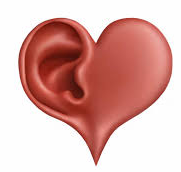 Remember we live with our hearing and we should love our hearing as it one of the 5 senses that allows to hear the wonderful things in life; things to consider next time you crank up that new hit song, or put in disposable instead of personal hearing protection. From all of us at ProtectEar USA – HAPPY VALENTINES DAY!